If you are are looking for a commercial or domestic landscape gardening company in Torfaen, Newport, Gwent, Monmouthshire and all surrounding areas then you have arrived at the right place. 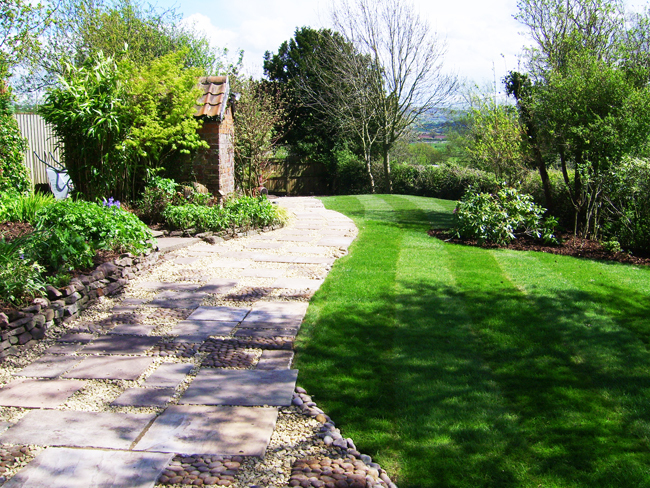 Dig It Landscapes Pontypool provides services in grounds maintenance, soft/hard landscape construction and design work. A family run company with proven ability goes to show we are more than capable to carry out any size of commercial projects and private gardens. If you have a larger requirement then our strong relationships with experienced, reliable sub-contractors will ensure that we will meet your expectations. Established in 2004, Dig It Landscapes has over 15 years experience in the trade and proud of our strong partnership of design and implementation that in March 2007 Dig It Landscapes was awarded with the Green Dragon Environmental Standard (Level 2) for our environmentally friendly policies. Being a local business doesn't hold back our desire to work further a field and would be willing to quote for any work outside of Torfaen, South Wales. Give us a call with your requirements and we will assure you of our best attention at all times! Copyright 2011 Dig It Landscapes. All rights reserved.